EVP oil-free scroll vacuum pump user evaluation- Vacuum Pump - EVP Vacuum Solution! EVP series of oil-free scroll vacuum pump china shows on SEMICON CHINA 2013 exhibition in Shanghai, has attracted a lots of visitors because of its gentle appearance, fine surface quality, quiet and stable operation of the state, not only so that users can be assured of long-term cooperation in the trust, but also by the various sectors of potential customers. 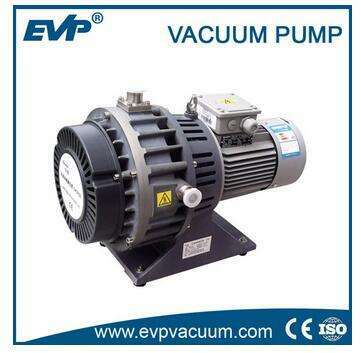 EVP company not only in its oil-free scroll vacuum pump performance, energy consumption and environmental protection, reliability, etc. to give a satisfactory answer to the user, but also in product appearance increasing technical and financial investment, it “is not only reliable and durable, but also more beautiful and lovely, cuddly “, and gradually in line to the world advanced level.